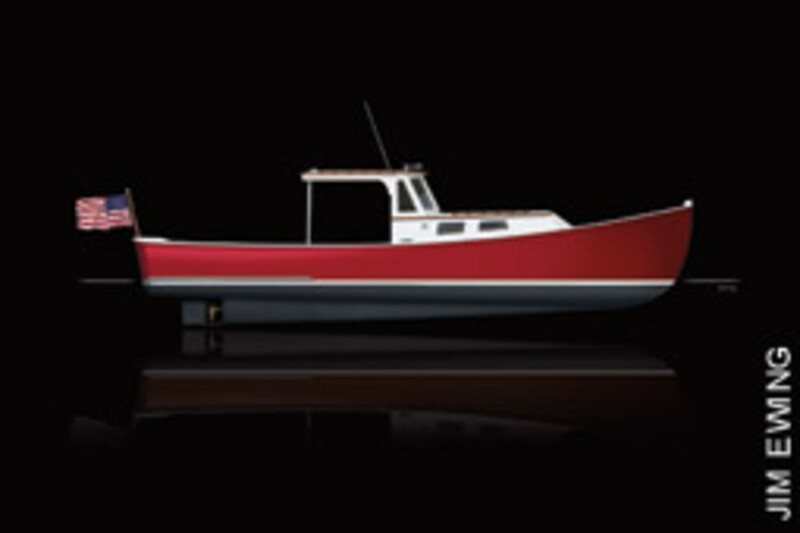 The Holland 32, Glenn Holland’s iconic lobster boat, is a Down Easter with lines to melt the heart of all but the most callous boater. 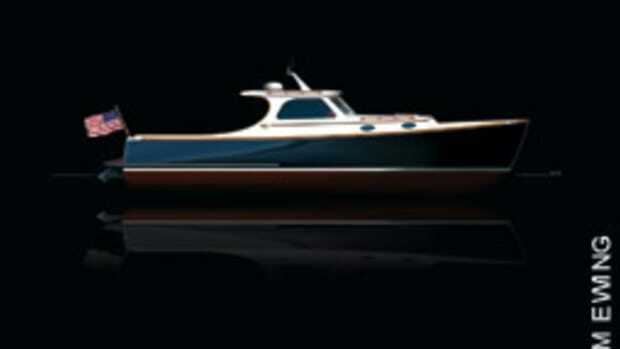 The hull shape evolved from Holland’s 30-footer and shows a tall bow with enough flare to knock down spray, tumblehome astern and a curved transom. Fullness amidships provides lift and stability. 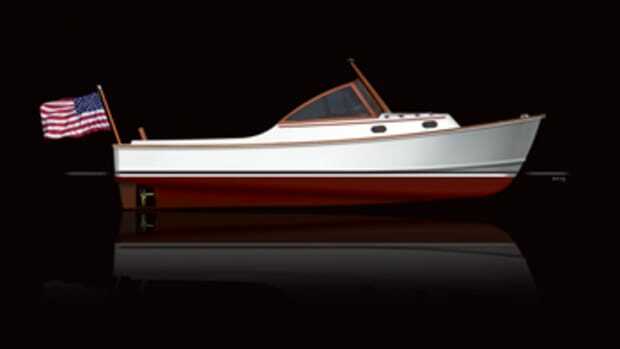 “Skeg-built” in the tradition of the Jonesport/Beals Island boats, it has deep roots in Maine boatbuilding. Born in Castine, Holland grew up around boats and boatyards. 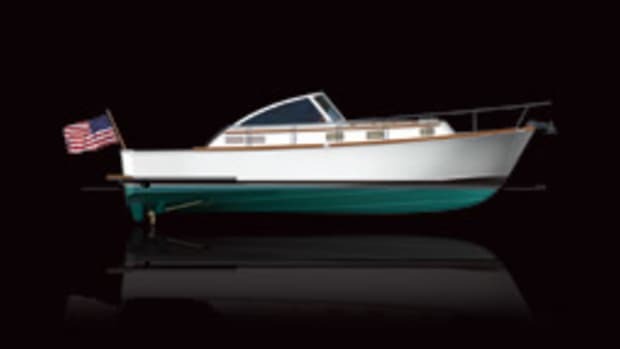 He designed his 30-footer in the mid-1970s, working with Royal Lowell, the son of Will Frost, “grandfather” of the modern lobster boat. When the mold was destroyed in a fire, he decided to lengthen the hull by 2 feet — with Lowell’s approval. 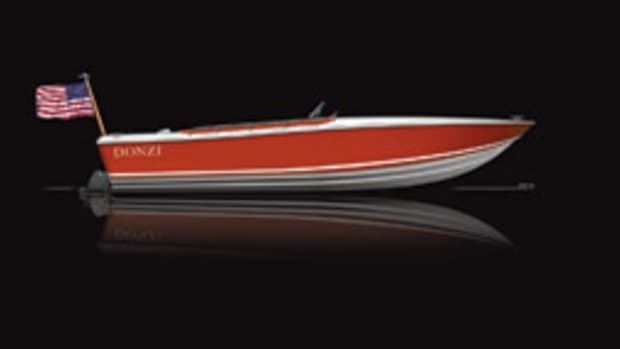 The Holland 32 began production in 1979, and the best known of the more than 150 built is undoubtedly Holland’s own: Red Baron, a Maine legend, which he still owns. It’s hull No. 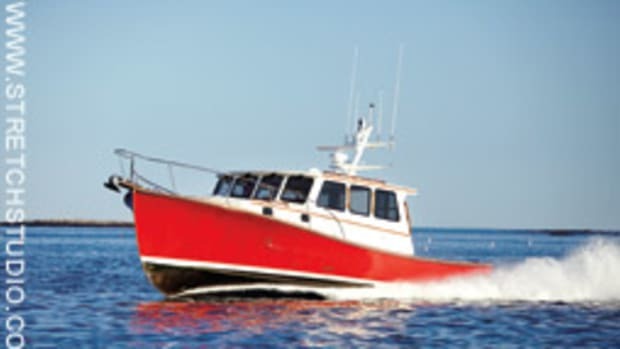 11 and was built as an entrant in Maine’s lobster boat races. (The illustration here is not Red Baron.) It came to the starting line for the first time at the Jonesport race on July 4, 1981. The bright red boat — Holland had ordered white gelcoat but red arrived — claimed a first and a second. Red Baron, which hit 57.8 mph in 1999 with a 1,100-hp supercharged gas engine, went on to win 75 percent of its races, coming in no worse than second in the rest. 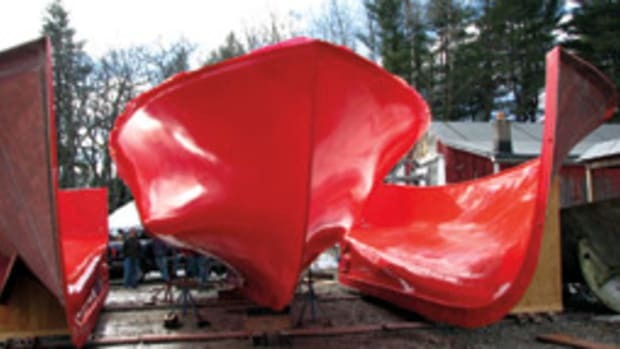 “The Red Baron has earned its position as an icon in the history of lobster boat racing in Maine,” Mike Crowe wrote in The Fisherman’s Voice. Red Baron’s legacy may be speed, but the Holland 32 has merit beyond miles per hour. 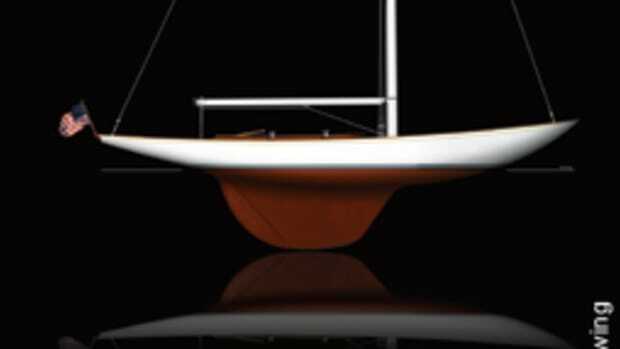 “It can go comfortably through rough seas,” fellow builder Jamie Lowell — Royal’s nephew — told The Fisherman’s Voice. 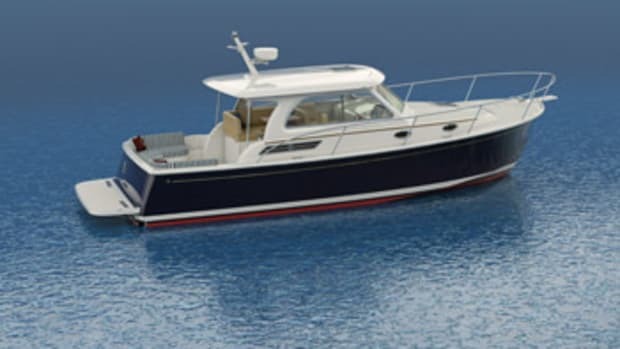 “It’s a good workboat.” Holland’s Boat Shop in Belfast still offers the semicustom Holland 32, along with 38- and 42-footers (www.hollandsboatshop.com).